Rapidly advancing technology is a way of life today. We are in the middle of a technological renaissance and being technologically educated or updated is the need of the hour.Keeping that in mind a seminar was conducted on 17th January,2019 in One of the Best school in Howrah organized by MACTRON, a Robotics training institute from Howrah. 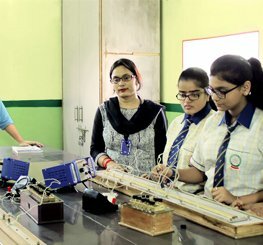 The term ‘Robotics’ in itself being interesting naturally dragged the curiosity of the students.The speaker initiated the discussion with a warm interactive session. Surprising us with their previous knowledge on ‘Robotics’ few of the students responded very spontaneously. Concepts of Artificial intelligence(AI)& Machine Language seemed greek to the students while the speaker threw light on those. The students were shown VDO clippings of robots working in factories, medical surgeries, food processing,expeditions of NASA etc. Altogether it was an interesting session which kept the students captivated throughout. Apparently it seemed that their overwhelming responses made it interesting for the organizers as well. In their feedback the students mentioned that they keenly anticipate that such informative sessions would be conducted in the school in the near future. The world is progressing at a rapid pace and it is essential to embrace the thought of a progressive education program now. This is essential to keep pace with the developments all around and to keep the methodology of teaching updated and innovative. There is a complete restructuring of the methods of teaching for which the idle example is the English medium school in Howrah. It is vital to know English: English the main lingua franca worldwide and it is the language of the computer, Artificial intelligence, machine learning and many m It can be a huge bottleneck for a successful carrier if there is a lack of fluency in English. Early introduction to English is helpful: Students can feel comfortable in English only when they are introduced to English in their early life. The ability to learn languages goes down as we grow older and this is the reason why you should choose the best school in Howrah. No worry for committing mistakes at a young age: Students in their formative years can learn English quickly as they have no inhibitions for making mistakes which many often accompany the older stage. How to choose the best school? Now the important question of narrowing down your choice for choosing a quality school for inculcating an all round developments in students arises. You should follow the exemplary standard set by the English medium school in Howrah, to understand this. It maintains a channel of honest and regular communications: It is expected that leadership in a top school maintains a cross flow of information among parents-teachers-students to have absolute transparency. There will be little room for rumors and gossips and the parents will remain updated about the latest information of the school. 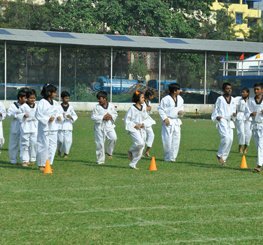 Display the importance of teamwork: The best school in Howrah always displays unique teamwork among the faculties and this fosters a team spirit among the students also. That you can’t do it alone is understood by the students and the importance of interdependence to attain perfections in work is promoted here. It promotes gender equality and diverse culture: You will find a good mix of students from different ethnicity and gender in a good school which accentuates the cultural mix. Both the girls and boys are allowed to participate equally in all the events and no discrimination for gender is made. Students can understand different cultures also when they interact with students of different regions and cultures. There is a good mix of new teachers and experienced veterans: When you look at the best school in Howrah you will notice an excellent blend of veterans and young teachers. New teachers are essential to incorporate new ideas and innovative thinking along with knowledge of the latest features of education. At the same time, the veterans control the steering for implementation of the program and manage the administration effectively. A unique blend of these two generations is also important to maintain harmony and discipline in a well managed top school. School days are the best part for anyone’s life and that life is the main growing period for all of us. There we start to learn new things, we have to adjust with new environments, we meet with our new friends and especially we get the special guidance of our teachers. There has some differences in between smart classroom and normal classroom because you can use the gadgets like teaching screens, laptops in the open classroom which facility you can’t get in the normal schools. There has some CBSC affiliated school in Howrah. These schools have some special appeal of its own. Now the question is that why parents want to do admission in these schools? Here students can learn spoken English very well and which is mandatory for growing themselves. Because English is the global language. This helps them to give confidence on their mind and make smarter to communicate with anyone. 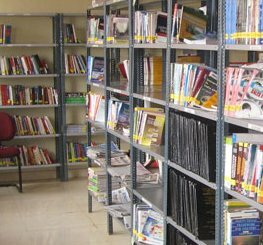 Here students can get easy access for online information like they become familiar with the general knowledge, current affairs. As a smart class incorporates various gadgets with internet connection such as mobiles, tabs and laptops, students can easily access online information. Both teachers and students can have access to online resources to learn and these are the most essential things for today’s life. They don’t need to carry so many text books because as they have smart gadgets so that they can easily go through the internet and get the proper information and do their study online. These schools are dynamic perspective to learning. Here teachers are very friendly; they maintain a nice coordination with their students that is why students don’t feel shy to ask any questions regarding the topics and all. Apart from these, their study is not like that rat race that they have to do their study and perform very well by hook or by crook. They do their study very easily and maintain their proper study time. They try to memorize every topic logically or practically, they are not limited with their bookish knowledge. 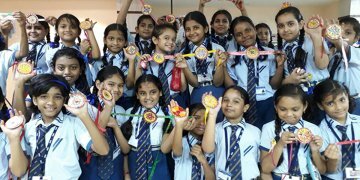 These are the specialties they have and that are why CBSC affiliated school in Howrah is totally different than other CBSC affiliated school another places. What are the processes of CBSE school admission in Howrah? One exam will be held on any prospective date. There will be several topics like Math’s, English, General Knowledge, computer, current affairs etc. Whoever will perform very well he or she will get chance. It doesn’t mean that there has some opportunity for taking the admission from the backdoor. CBSC School in HOWRAH takes the cream students who are eligible for this and disserve their rankings. 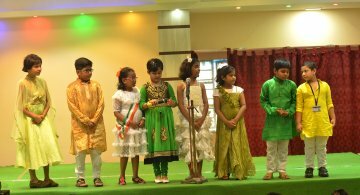 These are the best features and characteristics for CBSC School in HOWRAH. These schools are really trustworthy enough to providing good teaching on every subject in the school itself. That is why no need to go for tuition every day and they don’t take any home tutors also. They become smarter when they completed their 10th or 12th class from these schools and can adjust in any circumstances in any place.